New York, M. Knoedler & Co., Richard Diebenkorn: Recent Work, November 1987, p. 22, no. 28 (illustrated in color). 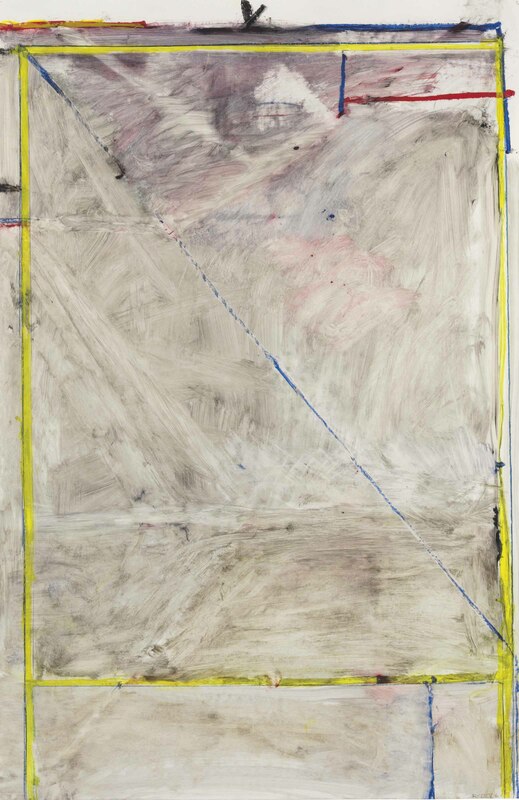 This work will be included in the forthcoming Richard Diebenkorn Catalogue Raisonné under estate number 2464. "I think of 'seeing' as a kind of constant... In that sense there was no change in the perceptual process. However, one is continually perceiving the painting itself in process, and this brings about a mix with the conceptual. It's a different mix with representationI didn't start seeing differently. I simply saw different things." Richard Diebenkorn quoted in J. Butterfield, "Diebenkorn: A Painter's 'Pentimento,'" United, June 1983, n.p.